Code signing is at a crossroads. 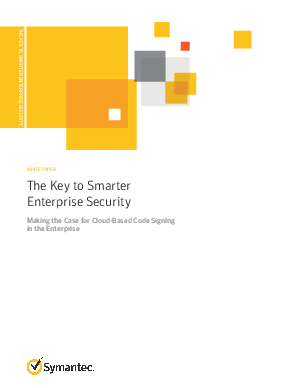 In many enterprises, the traditional approach remains standard procedure: you purchase a code-signing certificate, download it, and deploy it locally for all your code-signing needs. When carefully managed, this approach can still be very effective in guarding against malware. But recent events have shown that many companies are finding it a challenge to manage their codesigning certificate deployments—and failures in certificate management can have serious consequences.